Marianna (Galactic Purple) loves to indulge in bath products, so I partnered with Laughing Goddess Magickal Apothecary to begin production of various products based on the book series! The first two are now available for purchase! Galactic Purple’s signature attack is EXPLOSIVE! She launches her cupcakes at enemies and completely annihilates them. Don’t worry though, this version is much more relaxing! 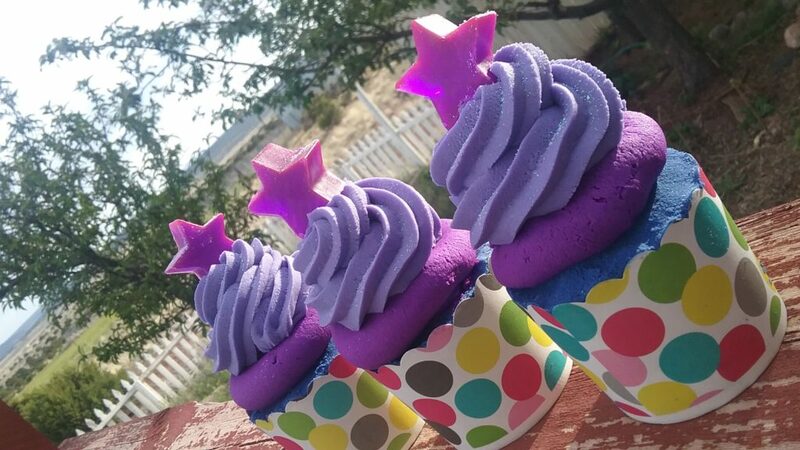 These cupcake bath bombs are actually three parts: the bottom part of the cupcake is a bath bomb, the cupcake icing is a reusable bubble bar for creating sweetly scented bubble baths, and the star is soap! The bath bomb is good for 1 – 2 baths, while the “icing” is good for 2 – 4 baths. When she’s not fighting monsters, Marianna to indulge in bath products. 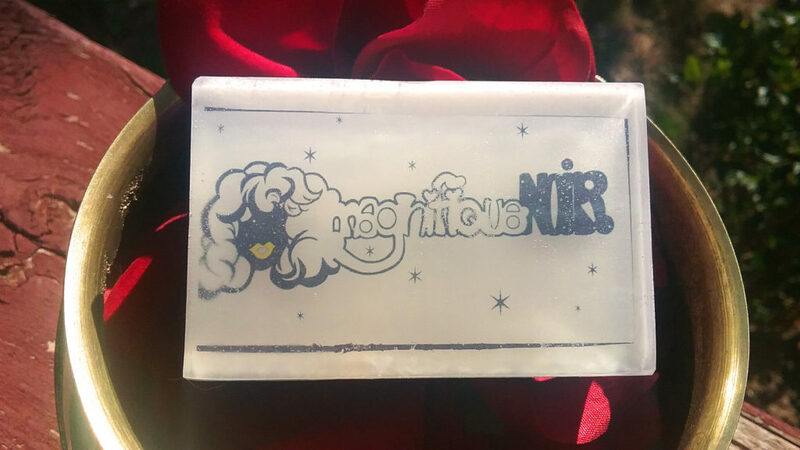 This soap bar is the perfect match for those magical mornings! This is an out of this world handcrafted soap infused with wildcrafted peach blossoms, skin loving goat’s milk, and scented with notes of fresh raspberries, juicy grapes, and sticky sugar.